Mike Tremblay along with Jacques Robert, Dr. David Palmer and the Probe exploration team have been recognized with the "2013 Ontario Prospector of the Year Award" for the Borden Gold Discovery, during the annual awards ceremony held in Sudbury on November 5, 2013. Mike is widely regarded as one of Ontario's leading prospectors, has been actively exploring the Kap region most of his career and has been involved with a number of discoveries in the area. Mr. Robert Duess (Bob) is a professional geologist with over 30 years experience in mineral exploration and development. Bob was the Canadian project manager for West Timmins Mining Inc. prior to its acquisition by Lake Shore Gold in the fall of 2009. In his role with West Timmins, and in his previous role as Vice President of Band-Ore Resources for over 15 years, Mr. Duess was instrumental in the early development of the West Timmins area, including the discovery of the Golden River Trend and the acquisition of the Thunder Creek Property which now hosts the high grade Thunder Creek Gold deposit. Bob currently acts as a technical advisor to Balmoral Resources Ltd., and was also involved as an officer and/or director of several other companies including Lateegra Gold Corp, Trelawney Mining and Exploration, and Lakeland Resources Inc. Most recently, Bob was instrumental in the formation and financing of GTA Resources and Mining Inc., and currently serves as Vice President and director of GTA. Mr. Darin W. Wagner has been the President and Chief Executive Officer of Balmoral Resources Ltd since its inception in 2010. He has over 20 years experience in mineral exploration, development and management. Darin served as President and CEO of West Timmins Mining Inc. from September 2005 to its sale to Lake Shore Gold in November of 2009 following the discovery of the Thunder Creek gold deposit in Timmins. Prior to that he served as Manager of Exploration for Platinum Group Metals Ltd. from 2000 to 2005. Darin also spent 10 years working with the exploration departments of Noranda and Cominco, previously two of Canada's largest mining companies,. On November 13, 2013, Darin and Balmoral's exploration team were recognized as the "Prospectors of the Year" in the Province of Quebec for their Bug Lake and related gold discoveries on the Company's Detour Gold Trend Project. Mr. Wayne Reid has been the Chief Executive Officer and President of GTA Resources and Mining Inc. since December 1, 2012. Wayne serves as Vice President of Corporate Development at Metals Creek Resources Corp. He served as Exploration Manager for St. Andrew Goldfields, Canadian Exploration Manager for Echo Bay Mines, as well as District Manager for Noranda Exploration and Hemlo Gold Mines Inc. Wayne has over 30 years experience in exploration and mining geology, spanning a variety of Canadian geological terrains, from Newfoundland to Northern B.C. and Alaska. Wayne was instrumental in the discovery of the Brewery Creek Gold Deposit in the Yukon Territory and the Boundary Massive Sulphide Deposit / Duck Pond Mine in Central Newfoundland. Mr. Mitchell received his Bachelor of Science in Geological Engineering from the Montana College of Mineral Science and Technology in 1968. He has been the principal of Mitchell Geological Services Inc. since 1985, and is a registered professional engineer in the Province of British Columbia. He currently sits on the board of directors of various Exchange listed resource companies: Challenger Development Corp., Cloudbreak Resources Ltd., Jantar Resources Ltd., Kent Explorations Ltd., and Snowfield Development Ltd.
Mr. Mitchell will provide geological engineering advice to Olympic Resources Ltd. as dictated by NI 43-101. 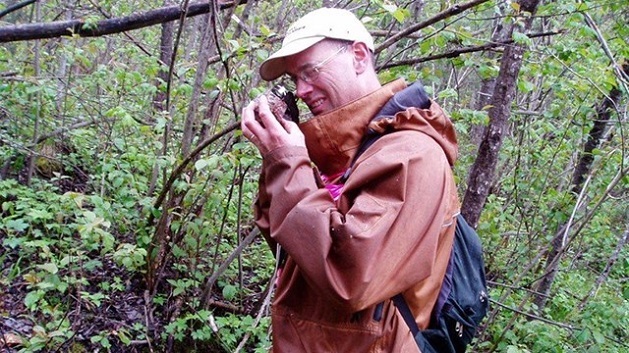 With over 30 years of geological expertise developed with the Ontario Geological Survey as Regional Resident Geologist in Timmins and Red Lake, Brian brings a wealth of knowledge and field experience as geological advisor. With specific and focused knowledge of Archean greenstone belts including the Kapuskasing Structural Zone, his insight is a significant contribution to understanding gold and other mineral deposits in diverse terrains. His intimate knowledge of gold deposits in the Timmins belt will help the Company prioritize the numerous gold targets identified on the Kapuskasing properties. Kirkland Lake Gold's operations are located just five minutes from the Town of Kirkland Lake, in Northeastern Ontario. Kirkland Lake is a bi-lingual community with a population of 9000 people, with all the amenities of larger urban centers.